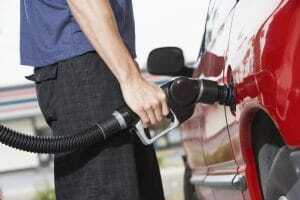 The operating costs that can burn a hole in your wallet if you don’t pay attention. For many of us, owning a car is essential. Whether you are driving to work, getting the kids to school, or just escaping for the weekend – a car can mean freedom! But it comes at a cost and smart budgeting to stay on top of things if you want to remain ahead of the bills. One approach to help manage some of these costs is to consider car finance. Somewhat like a long-term rental agreement, you can have the freedom of a car, without as many of the overheads. And with Alpha Car Finance, it becomes even easier when we bundle the registration and insurance costs into your weekly or fortnightly repayments. So, check out the nine operating costs that can kill the budgets of car owners who don’t plan ahead. Every car needs to be registered after being purchased. The cost depends on which state you are in, the engine type, and the weight of the car. In Queensland, registration bills start from around $750 a year and increase depending on the weight and engine capacity of the vehicle. Check out your estimated registration cost in QLD here. While the CTP insurance that covers the costs of injuries and death in case of an accident may be included with your registration, the protection of your car and the items you may damage in an accident is a separate annual cost. And it can be a hefty bill. The costs vary depending on the type of cover (Third Party, Third Party Fire and Theft, or Comprehensive Car insurance), and your risk factors – including any previous accidents that caused damage and most importantly, your age. You can balance the cost you pay for insurance, with the amount you are prepared to pay upfront if you cause damage. This amount can range from $0 to as much as $3500 and can save you money if you are prepared to take the risk. However, when it comes to operating within a budget, it is always better to know exact amounts, rather than worry about the ‘what-ifs’. Every kilometre you are driving is costing you money, as you leave a fractional amount of rubber in your trail. Tyres can be pretty expensive depending on the size and brand of the car. Tyres need to be replaced every now and then, and this can be heavy on the budget as each tyre averages at about $150. If you finance a car from Alpha, it will only cost you around $30 per week – and that includes servicing, too! What a huge difference, right? Todays’ cars are loaded with all sorts of technology. Which is great when it is all operating, but can be disastrous when something fails. Whether it’s your keyless keys or the built-in sat-nav, the expense in repairing or replacing these items can be significant. According to Choice, replacing a smart key alone can be between $400 and $800, while the costs to reprogram and upgrade your built-in navigation maps can reach $900 in some makes and models. That’s a high cost to avoid getting lost! We do not know for sure what can happen when we are on the road. Assistance is always available for sure, but you would have to pay around $100 or more for the services. 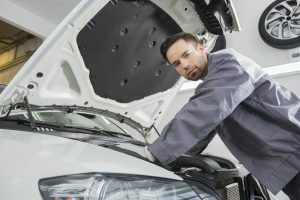 If you want your car to always be in tiptop shape, then prepare for the costs. Car parts and gadgets can be expensive, so make sure to think before purchasing. Luckily, Alpha Car Finance can help you by bundling the repair and service costs with your recurring payments. We all know the warnings – buy a new car today, and tomorrow, it has already lost 25% of its value. While that may be an extreme statement, it highlights the fact that your vehicle is an asset – you paid a certain amount for it … and today, you won’t get the same amount back. This is because a car’s value depreciates fast, due to wear, tear, and new models popping out on the market. The older it gets, and the longer it runs, the faster it depreciates. According to RACQ, the average cost of depreciation of Australia’s top-selling car last year, the Toyota Corolla, is about $48 per week over its first five years. 9. And lastly, there is, of course, the fuel costs. And for many drivers, this is the most significant cost. Depending on the size of your car and the type of engine, it doesn’t take much to get a $50-$80 weekly petrol or diesel bill. If you are lucky enough to have a small city run-about car with a tank under 50 litres, you may find it a lot more economical to drive, but the hidden costs of buying petrol still lurk – the lolly and chocolate counter on your way to register! Always think before you buy, and if possible, just go for car financing. It’s easier, more convenient, and way cheaper!